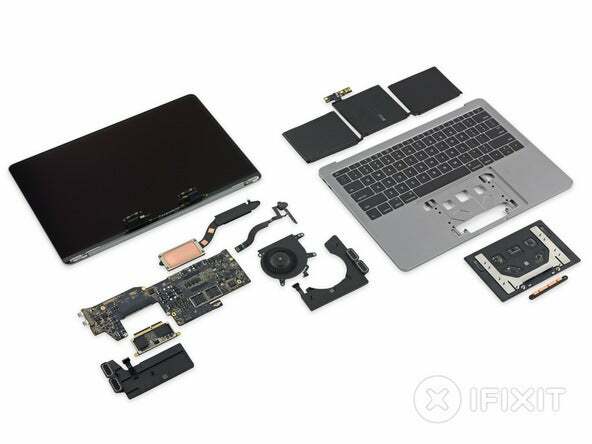 iFixit took apart the 13-inch MacBook Pro to see what was inside. As is typical for every MacBook Pro release, iFixit got its grubby hands on one of the new laptop models soon after they were available and promptly tore it apart. 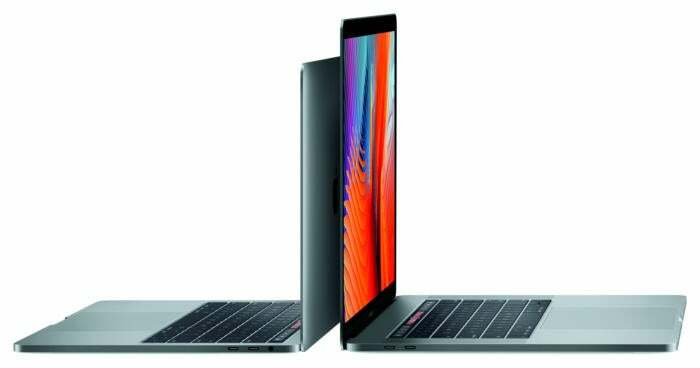 The victim of this tech butchery: The Touch Bar-less 13-inch MacBook Pro. This year’s teardown isn’t as exciting as the 13-inch 2015 version, which featured the Force Touch trackpad's debut. Nevertheless, iFixit did note a few points of interest. For one thing, the newest 13-inch MacBook Pro is actually more repairable than its predecessor—not that it matters much. iFixit gave the 2015 MacBook Pro a repairability score of 1 out of 10, while the new one scored a 2 out of 10. The much faster PCI-E SSD inside the new MacBook Pro 13 can easily be removed, unlike in older models. It's powered by a custom Apple SSD controller, however, which limits your ability to actually swap out the drive. The laptop's RAM is still soldered on. The battery on the new MacBook is a measly 54.5Wh compared to the massive 74.9Wh power pack on its predecessor. Even with a decidedly wimpier battery, Apple says the laptop is still good for 10 hours of web browsing over Wi-Fi just like the 2015 version. The impact on you at home: iFixit also took a look at the headphone jack in the new MacBook Pro. The teardown masters say that the “single modular unit...could easily be dropped in favor of a Lightning or USB-C connector." It'll be interesting to see if it lasts in future MacBook Pro iterations.